The long-running saga of the Sheriff Gaming / Bubble Group online-casino fraud has moved nearer to its conclusion following the release by a Dutch court of its ruling in a tax-evasion case brought against three of the company’s primary owners in late 2013. The tax-evasion charges were just one part of a much larger operation including allegations of money laundering and drug marketing against the several of the company’s primary executives. Three thirty-something Dutch online-gambling “entrepreneurs” — though “thieves” is the more accurate word here — were originally arrested by Netherlands officials on various charges back in May of 2013. This past August, Stijn Flapper and brothers Maurice and Michel Gregoire were found guilty of failing to pay more than €13.5m in taxes owed on at least seven Bubble Group / Sheriff Gaming-operated sites. The three still await trial on other charges that are part of the larger case, as do others connected to various aspects of the multi-layered scheme. The tax-evasion charges were strengthened by Dutch prosecutors’ ability to retrieve detailed revenue records from an intermediate business entity housed in Sweden, which showed that the various Bubble Group / Sheriff Gaming sites collectively took in €46.7m in gross gaming revenue from 2008-2013. The parent company was given a new name, Blue Gem Gaming, and was reported being operated by Flapper’s brother, but it collapsed in April of 2014 after the Alderney Gaming Control Commission yanked the license once issued to the Bubble Group. The Dutch investigation, meanwhile, gathered steam. Investigators quickly discovered that the sites operated by the men were also participating in a massive fraud against the site’s customers, with a former worker becoming a whistleblower and testifying against the Dutch men and their fraudulent business practices. 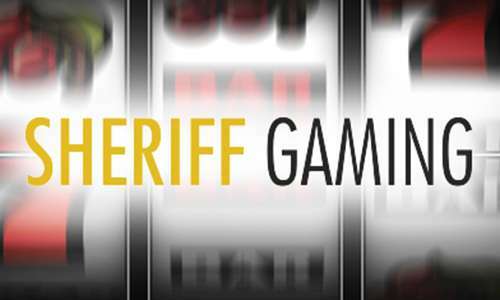 The seven sites as being part of the Sheriff Gaming operations included AmsterdamsCasino, AmsterdamsPoker, JackpotRed, TripleGold, Golden10Casino, Tanzoo and FruitLuck. Over 90% of the site’s customers came from the Netherlands, even though the sites were unlicensed there, and were operated through Costa Rica-based servers. The tax-evasion judgment itself, with all names redacted (in accordance with Dutch law), was released a week or so ago, but the trio’s identities had already been long linked publicly with the case. Flapper and both the Gregoire brothers had already made a “Top 100 [Dutch] Millionaires” group as publicized by a major Dutch news outlet, though they’ve likely had a hard time holding those rankings from the inside of a jail cell. Even Flapper’s lawyer encountered legal troubles of her own in connection to the case, being arrested in April of 2014 (and being detained for two weeks), while her offices were raided and searched. The sins of the three Dutch men even included allegations that the various Sheriff Group casino sites’ games were programmed never to allow a major jackpot to “regular” customers, excepting one technical glitch involving a reduced bet that once allowed a major jackpot to hit. In that case, the company refused to pay out the jackpot anyway, as it similarly failed to honor other large winners that occurred on rare, random occasions. Those allegations came to light when a former Flash programmer, once an employee of the site, posted insider’s tales of the corporate fraud that had been occurring as part of the company’s standard practices. … I’m a former Sheriff employee and I know for a fact that things were not in order at Sheriff Gaming. Not only because Stijn, Michel and Maurice were behaving like outright criminals but also because Stijn Flapper is just too greedy and does not care about fair gaming or people with gambling addiction. One thing that I’m sure of is that the slots were not paying out the percentages that were published (and approved by the AGCC). The AGCC (Alderney Gambling Control Commission) even came to us about a year ago for an audit and we had to “fix” all kinds of files and statistics to not risk a problem during the audit. Another thing that often happened was that very big prizes and jackpots were deemed as “software failure” or “fraud” when a player won them. Often they just got a small part of the money that they had won or nothing at all when a player made too much fuss (and then they got blocked also). Stijn is a very slippery guy so I guess it will be difficult to prove for the AGCC since the last audit they also were easily misled. Also they are very actively busy with propaganda and removing “unwanted info” on various websites. But sometimes a post remains, like this one: http://forum.fok.nl/topic/1629390/1/25 (in Dutch and gets more clear at page two) about a Sheriff game on Amsterdams Casino (thus the same people -> Stijn) where someone won the jackpot of over 11.000 euro but only got 1000 euro as a “compensation”! Also, be aware that the Dutch justice department does not care about the players and is not looking at fair gaming at all since it is illegal anyway to offer gaming in the Netherlands, especially when doing that from a location in the Netherlands itself. Nevertheless I am convinced that Stijn and his friends will be convicted for several criminal offenses so then the AGCC has no choice but to pull back its license for these guys. Another thing I read frequently is that people think that it matters in this case where the gaming servers were located. Server location does not matter, substance does and the substance (such as employees, administration, payments, helpdesk, offices) of all the companies and gambling sites such as (Amsterdams Casino, Teletick, Sheriff Gaming) resided in the Netherlands. That is also why I think they could be taken offline so quickly since only that in itself is, without a doubt, a major criminal offense. The recent Dutch court ruling includes an excerpt of testimony from a former Sheriff programmer as well, meaning it;s likely that the whistleblower identified himself to them or was able to be ID’d by authorities based on his various forum posts. Q: Were all jackpots ever paid out? A: No, I’m sure there Jackpots are displayed in the [slot] but they could not technically [drop]. Additionally, there were more awards that were not covered. There were more actions [where you] could win televisions or other gifts but they were [paid less often than stated]. Q: What was the minimum bet? A: That depends on the type of game, that goes from € 0.10 up to a few euros. Q: Have you ever been instructed to [program?] so as to ensure that benefits be affected? Q: Do you know if there are other companies and foreign companies [who] have been involved?